Make yourself at home in one of the 6 individually decorated guestrooms, featuring minibars and flat-screen televisions. Complimentary wireless Internet access keeps you connected, and cable programming is available for your entertainment. Private bathrooms with showers feature complimentary toiletries and hair dryers. Conveniences include laptop-compatible safes and desks, and housekeeping is provided daily. Don't miss out on recreational opportunities including a health club and a sauna. This hotel also features complimentary wireless Internet access, concierge services, and babysitting/childcare (surcharge). Guests can catch a ride to nearby destinations on the area shuttle (surcharge). 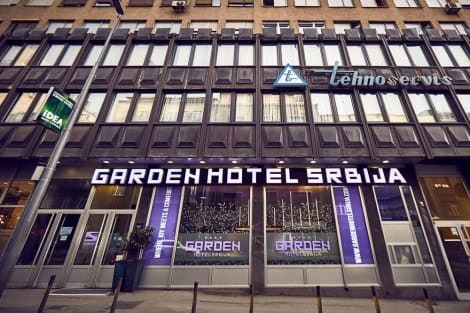 A stay at Hotel Srbija Garden Ex Garni places you in the heart of Belgrade, within a 10-minute walk of Knez Mihailova Street and Republic Square. 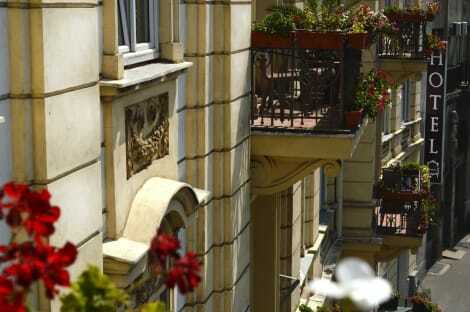 This 4-star hotel is 0.3 mi (0.5 km) from Belgrade Cathedral and 0.5 mi (0.9 km) from Trg Republike.